Biggest headache of all? The notion that it’s psychological in origin. The biggest and most reliable cause of headache is biological in origin. The hormone serotonin is deficient in most headaches and the deficiency therefore alters the normal physiology of the brain blood vessels, pain receptors and other elements to produce headache. There are two most common forms of headache called migraines (throbbing pain on one side of the brain) and tension headache (throbbing forehead, dull pain and a sensation of being squeezed or pressed). There are also certain types of foods that triggers headache so it’s important that you watch what you eat. Of course, people will always succumb to pain killers when headache strikes. It does remove the pain but unfortunately for a while and worst, patients who often take these meds develop sensitivity and tolerance to the drugs that causing them to need more of the drug until the pain is removed. It has been mentioned that serotonin deficiency is one of the major cause of headache and to help stabilize serotonin level, always take a supplement of Vitamin B complex at least 50 milligrams a day for chronic headache sufferers. 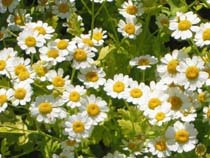 There is also this herb called feverfew which apparently reduces frequency of migraines. It acts like aspirin. If you are a person who fights over a deadline of one kind or another, irritable and critical, then you are suffering from “Pitta” headaches according to Ayurvedic medicine. Aloe is recommended for cooling this kind of headache for at least two tablespoons twice a day.A “Vata” headache or the kind that is suffered by people whose mind races with new things but never finish and have irregular habits can be relived by the grounding ginger herb. Put one teaspoon of grated fresh ginger in 15 to 24 ounce hot water to be used a drink throughout the day.The above mentioned alternative medicines are only to be used when there is no underlying pathological cause of headaches. Make sure you still see a doctor if the symptoms persist. Otherwise, you can still be pain free by making sure you live healthy, happily and stress won’t govern you. How you are going deal your headarches, I would love toi hear your experience.Visit my site at Natural Health Care Reviews for more articles.